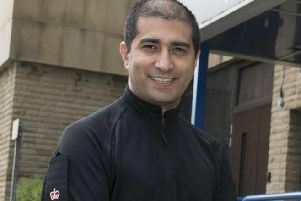 FRONT-LINE council staff across Calderdale were verbally, physically and racially assaulted more than 150 times in the last two years. Unions have called for greater protection and support for workers after Calderdale Council revealed 159 incidents of assaults on staff who were “simply doing their jobs”. They include physical attacks by children and adults as well as missiles being thrown at council staff. They took place in departments including adult social care, schools, offices and public places. The GMB’s senior organiser for public services for Yorkshire and North Derbyshire, Desiree Wilburn, said: “Nobody should go to work to be abused or attacked. In 2017-18 a total of 103 attacks took place. Of those 53 per cent were committed by adults. Overall 63 per cent of the attacks had a physical element to them. In three incidents racial abuse was used. In 2018/19 the number of incidents dropped to 56 which included three attacks that saw the use of missiles. However 62 per cent of the attacks were committed by children and youths. Calderdale Council’s Cabinet Member for Resources, Performance and Business Change, Councillor Jane Scullion, said: “Everyone should be able to feel safe whilst at work and we take any kind of abuse towards our staff very seriously. “Thankfully incidents are rare and the vast majority of our workers will never experience any abuse. We have a number of measures in place to keep our staff as safe as possible, including CCTV cameras, mobile recording equipment and panic alarm technology. We also avoid lone working wherever possible and provide a comprehensive package of training to help staff deal with difficult situations. Attacks on front-line council staff are only likely to worsen as austerity continues, unions have warned. Unison regional organiser Robin Symonds said it had seen an increase in incidents of violence and aggression towards local authority employees over recent years, “which correlates to the reduction in central government funding and consequent cuts to employee numbers”. “Public-sector workers are the public face of all local councils and all too often bear the brunt of frustration and anger of service users whose expectations remain the same even though their council’s budget has been drastically reduced over the last seven years,” he said. “Unison members report that this is a problem affecting all council workers – from refuse collectors receiving abuse because they now empty bins less frequently to teaching assistants whose numbers have been cut whilst class sizes have increased. “Often incidents go unreported and the true extent of the problem is almost certainly even worse than it appears. The real worry though is that the problem is likely to worsen as austerity is set to continue”. His thoughts were echoed by the GMB, which said employers have a duty of care to protect staff. Senior organiser for public services for Yorkshire and North Derbyshire Desiree Wilburn said: “These people are doing the best they can to deliver a service or to help people; however, there are individuals out there with mental health problems or frustrations, and our members seem to be on the receiving end. “This is not isolated to local authorities; this is happening in the NHS, police, and other organisations too. We are hoping the Protect the Protectors Bill will go through and have an impact. That Bill, supported by Halifax MP Holly Lynch, proposes to offer more protection for police, firefighters and NHS workers from assaults. It took a step closer to becoming law in October when it was unanimously supported in Parliament on its second reading. However, its powers would not be extended to council staff or teachers, who made up a large proportion of the victims of the assaults.